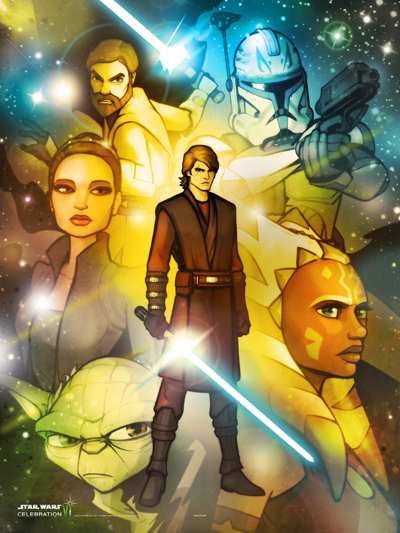 From Amazon.com: Topps introduces the ALL NEW Star Wars: Clone War Adventures Trading Card Game. 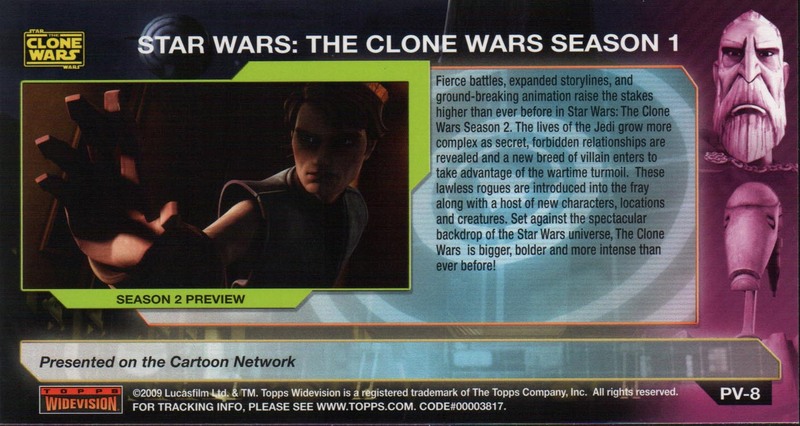 Based on a television show, Clone Wars is the #1 show with Boys ages 6-11. This easy-to-play kid friendly card game complements the HOT NEW online game from Sony! 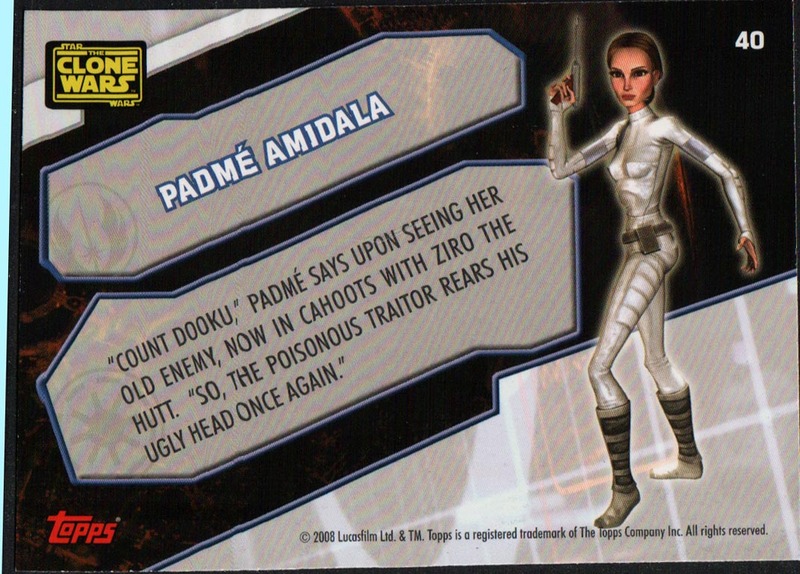 In total, 140 cards feature Star Wars characters, ships & vehicles. 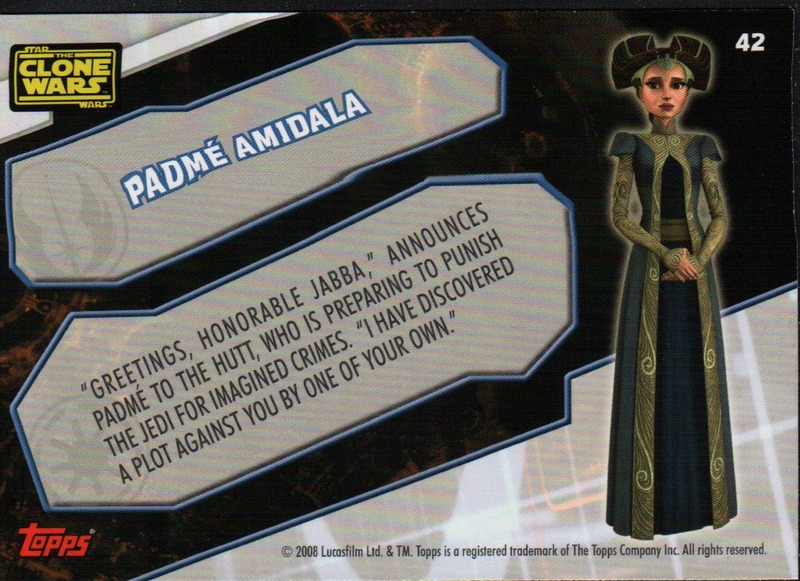 Additionally, there is a code card in every pack for the online virtual rewards! 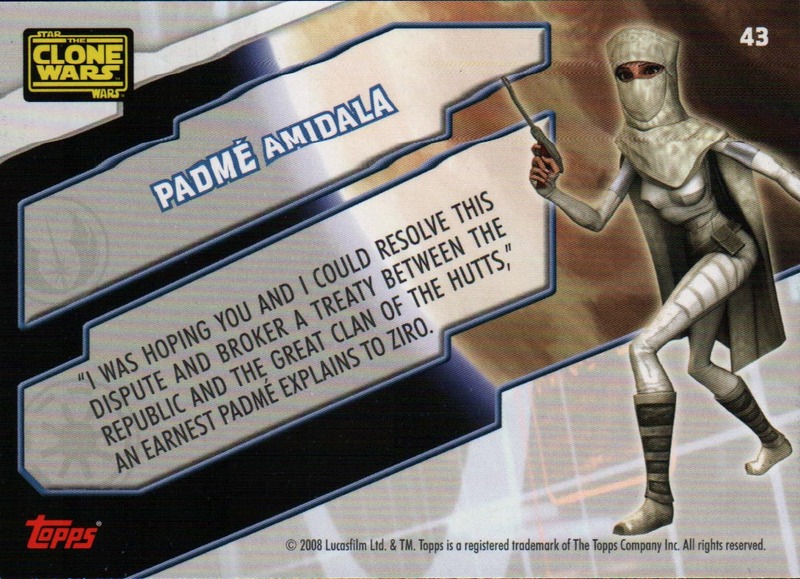 The outfit on card 7 is similar to one she wore in Attack of the Clones; while card 55 has an all-new outfit. 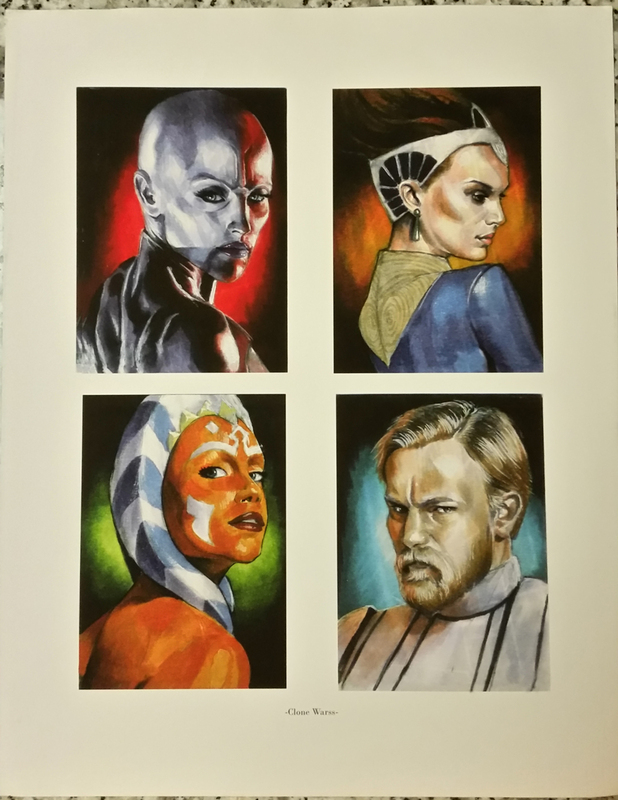 Unfortunately, this was the last set that Topps produced based on The Clone Wars. 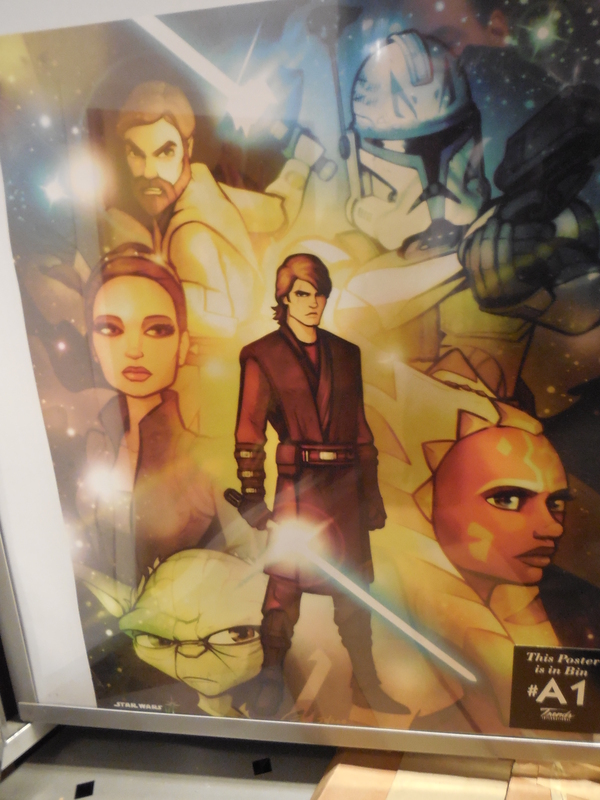 I purchased a starter deck and several packs of cards at Target in August 2011. 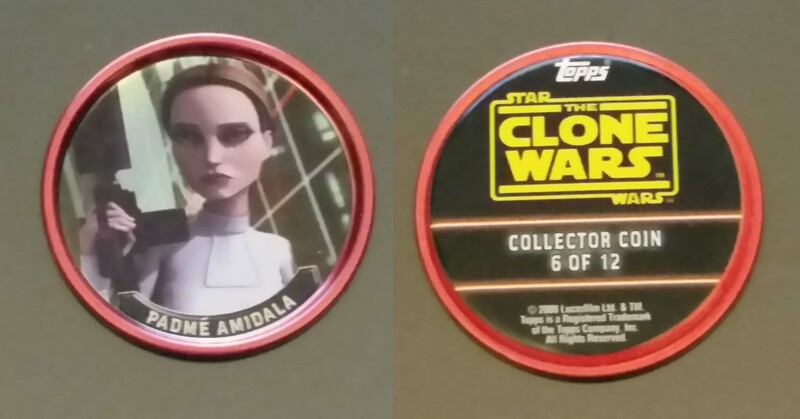 Bonus boxes of Star Wars: The Clone Wars trading cards at Target, Toys R Us and Walmart contained five retail packs plus two of twelve coins uniquely colored to that store. 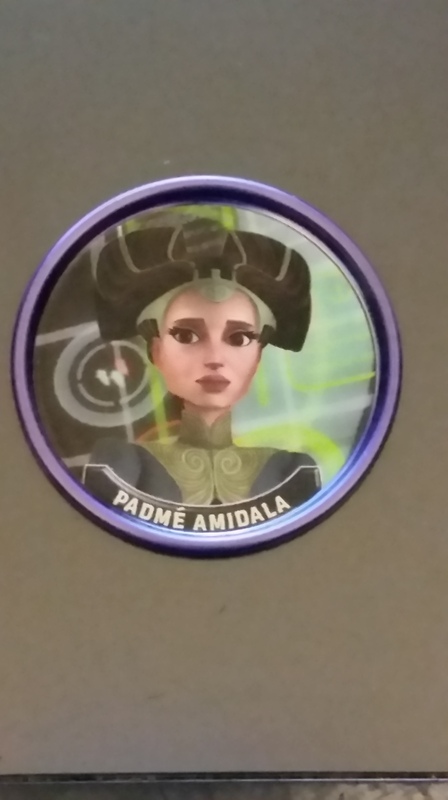 This blue coin has a picture of Senator Padme Amidala in the outfit she wore when meeting with Chancelor Palpatine. The bonus boxes with blue coins was purchased at Walmart. 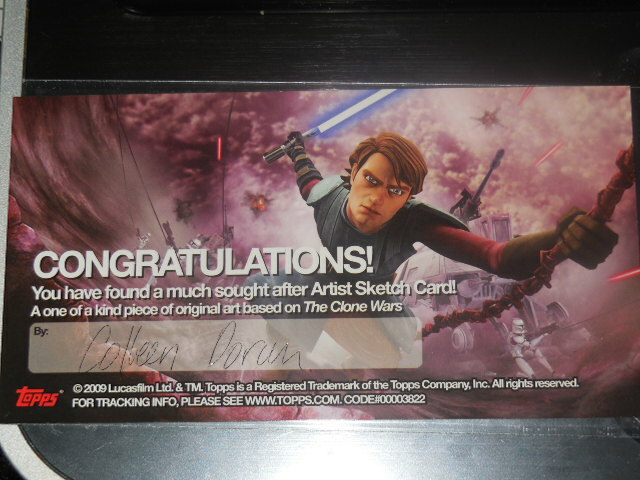 Bonus boxes of Star Wars: The Clone Wars trading cards at Target, Toys R Us and Walmart contained five retail packs plus two of twelve coins uniquely colored to that store. 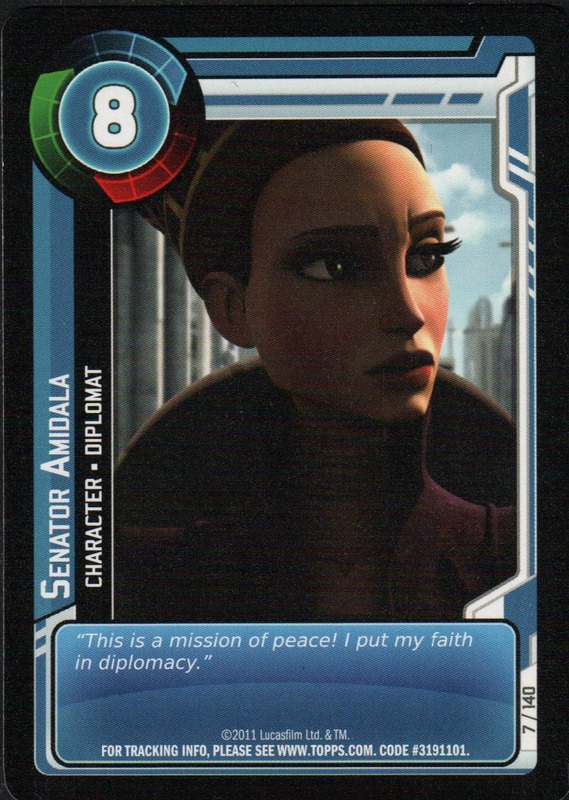 This red coin has a picture of Senator Padme Amidala in her white jumpsuit she wore to visit Ziro the Hutt. The bonus boxes with red coins was purchased at Target. 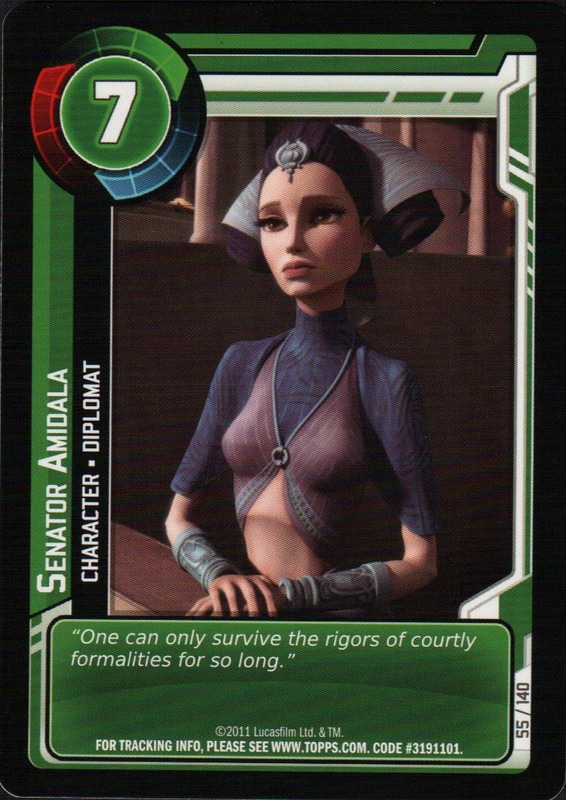 There are a number of valentines for Star Wars: The Clone Wars, but despite being the love interest of the series, surprisingly few of Senator Amidala. 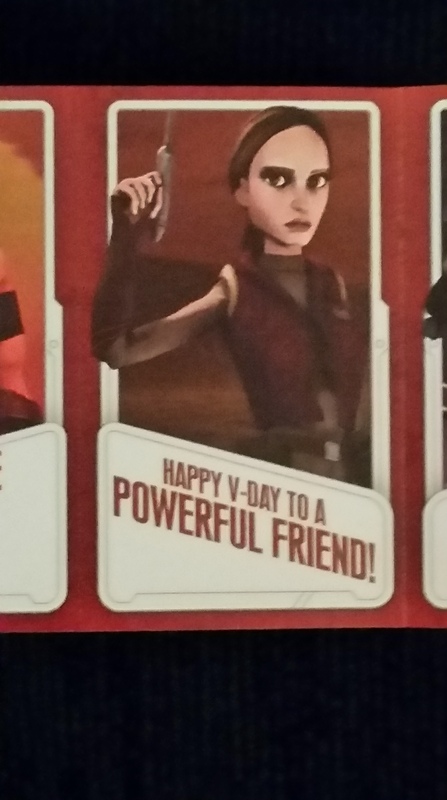 A similar valentine comes packaged with pencils. I purchased these valentines at Target. To commemorate the first season of Star Wars: The Clone Wars, Topps released a series of trading cards in the widevision format in 2009. 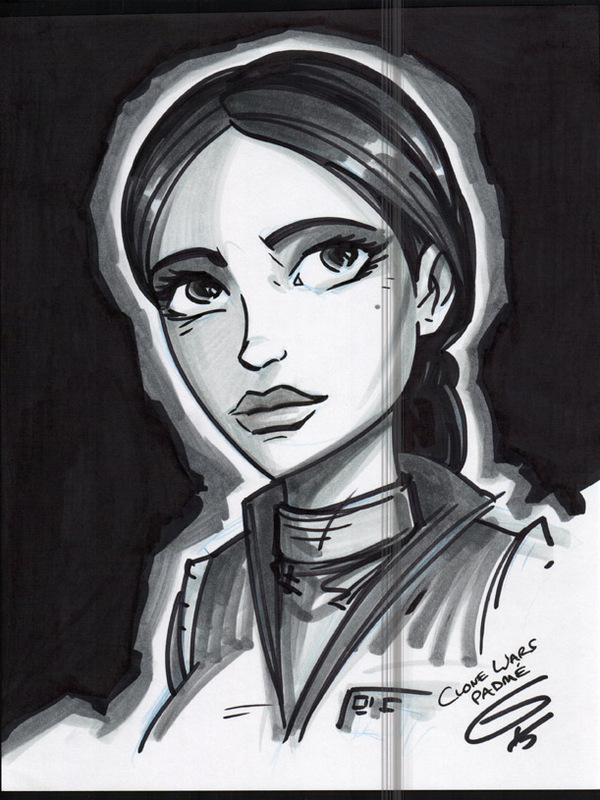 While Topps has released many sets in this format, this is currently the only set in the prequel era with sketch cards. 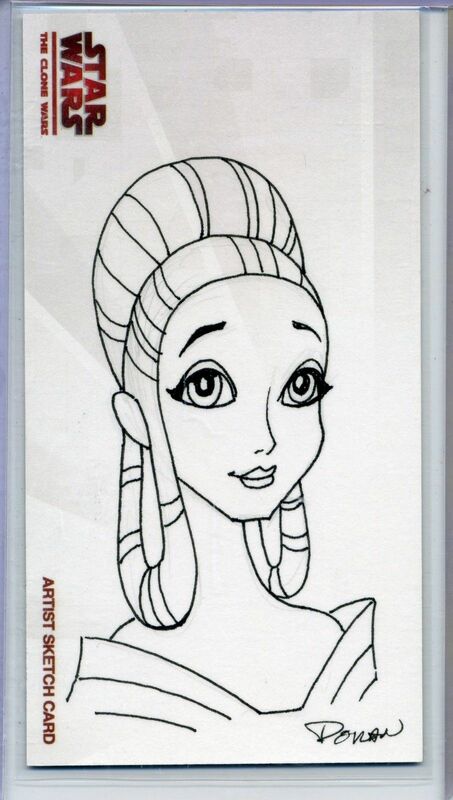 I purchased this card from Claw Gems LLC on eBay on February 19, 2015.